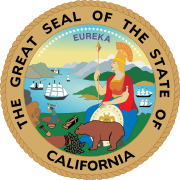 The United States House of Representatives elections in California, 1942 was an election for California's delegation to the United States House of Representatives, which occurred as part of the general election of the House of Representatives on November 3, 1942. California gained three districts as a result of the 1940 Census, two of which were won by Democrats and one by Republicans. Of California's existing seats, Democrats and Republicans each swapped one district. This page was last edited on 14 December 2018, at 23:54 (UTC).